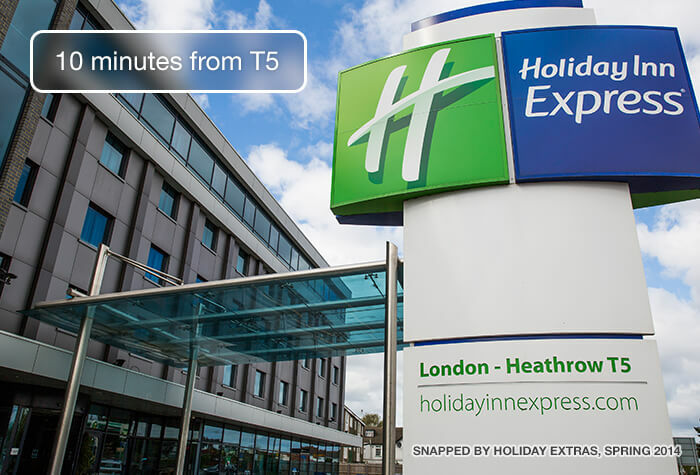 Holiday Inn Express may be a tried and trusted brand, but the Express at Heathrow terminal 5 will still surprise you. 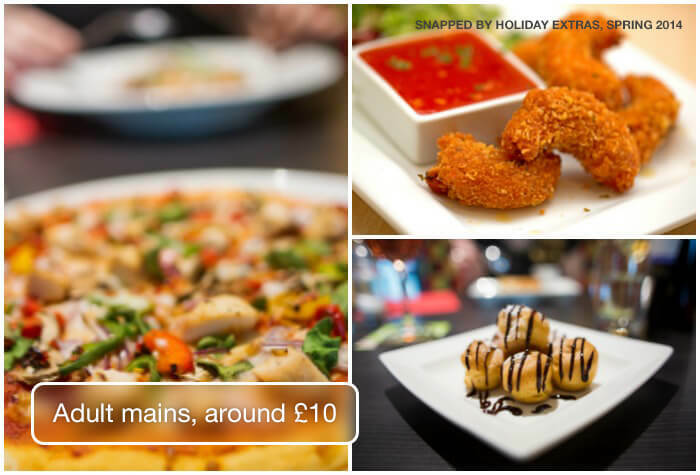 Along with the Great Room bar/restaurant that youll find in all Holiday Inn Express hotels, the T5 has a fantastic Italian restaurant that wouldnt be out of place in Londons West End. 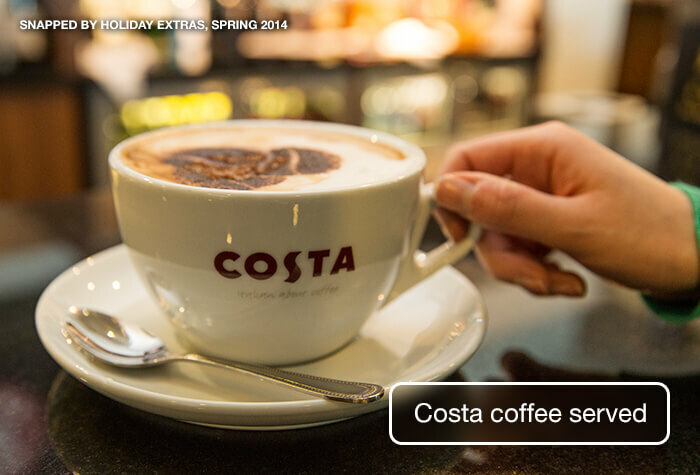 Elsewhere, theres a 24-hour bar in the lobby serving Costa coffee. 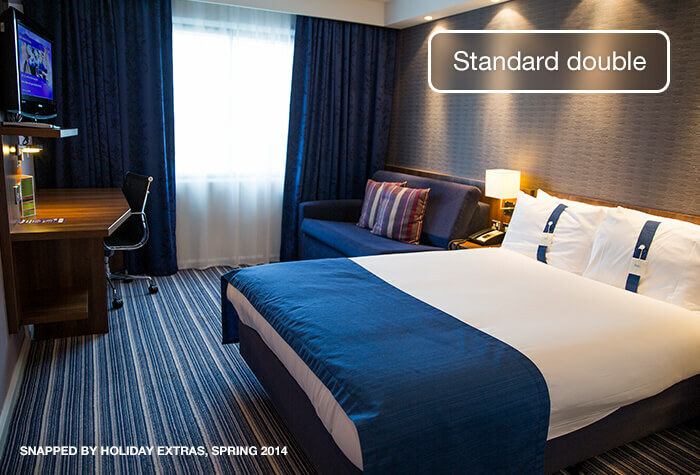 The rooms are more comfortable and stylish than you'd expect from a three-star. You can choose from soft or firm pillows for your cosy bed and climate control makes sure the room is always welcoming. Modern en suite bathrooms with huge showers, and a good-sized workspace, show theres more to the hotel than youd think. Being one of our best value Heathrow airport hotels, it's easy to see why this is a customer favourite. Very pleased with everything. We parked our car in the hotel car park, didn't hand over our car keys and so knew that our car was where we left it - albeit under a tree and hence lots of bird poo when we returned! - our fault! Staff very friendly and efficient. Excellent stay with parking,definitely recommend!!! We found the check in smooth, parking overnight was convenient too. Bedrooms were comfortable but breakfast was such an awful experience. Difficult to be seated, very chaotic, coffee was terrible. Selection of food was ok, but next time I would just grab something at the airport. Not worth booking this site for the inclusive breakfast. Clearer instructions and better signage to get the right parking area of terminal 5 from the hotel are essential. We ended up in the wrong section and had to pay to get out. 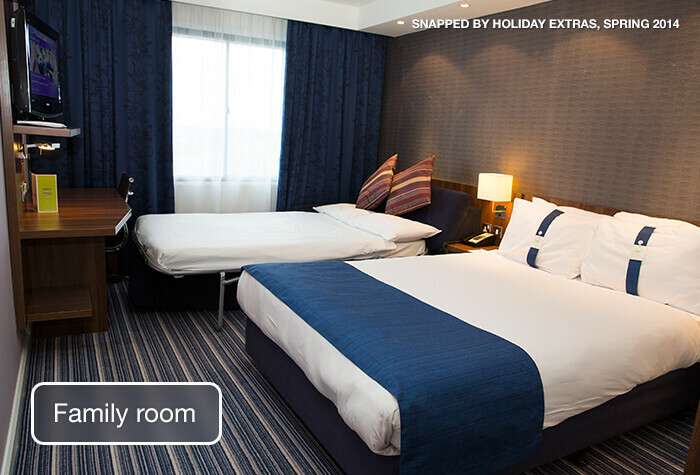 Our customers rated Holiday Inn Express T5 on average 9/10 (272 reviews). 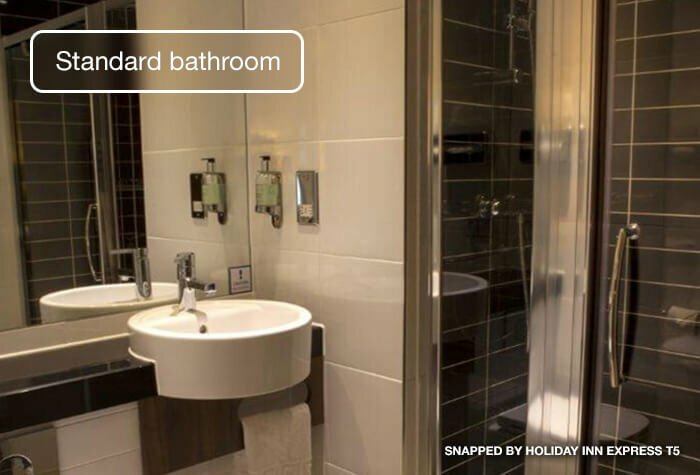 Read Holiday Inn Express T5 reviews. All this and the hotel is still just two miles from the airport, with the Heathrow Hoppa taking you from right outside the hotel lobby to terminal 5 in just 10 minutes. You can even buy tickets from a machine in the hotel lobby. If you have more time, and kids, on your hands, the hotel is also just a quick drive from Legoland, and in the lobby, theres a great childrens area with toys and an X-Box. This is still a limited-service hotel, but youd be hard pressed to find anything lacking. The T5 is exactly what you want from an airport hotel. A great restaurant -Tratts pizza and pasta wouldnt be out of place in the West End, and kids love it! Families -Just a short hop from Legoland - and there's a great play area too to keep your children entertained. Convenience -Just 10 minutes from terminal 5, with a door-to-door bus service. 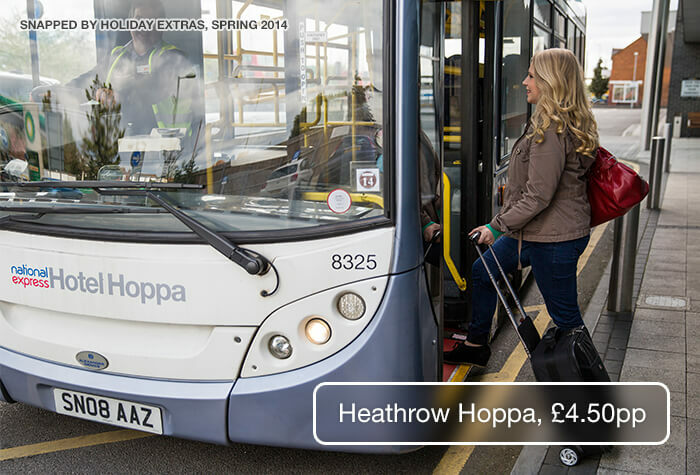 The Heathrow Hoppa shuttle bus runs regularly from the hotel to Terminal 5 during the airports opening hours (5am - 11:30pm). The bus stops at other hotels on the way, so it can take between 20 and 30 minutes. If you are flying from another terminal, you can catch the bus to T5 then take the free Heathrow Express train. Wed recommend leaving plenty of time. The Holiday Inn Express is 10 minutes from Terminal 5. Driving instructions and a postcode for satnavs will be on your confirmation email. Rooms are soundproofed with blackout curtains and lots of space. Triple rooms include a double bed and double sofa bed. Family rooms include a double bed and a sofa bed. Child age 14 and under. Its free throughout the hotel. 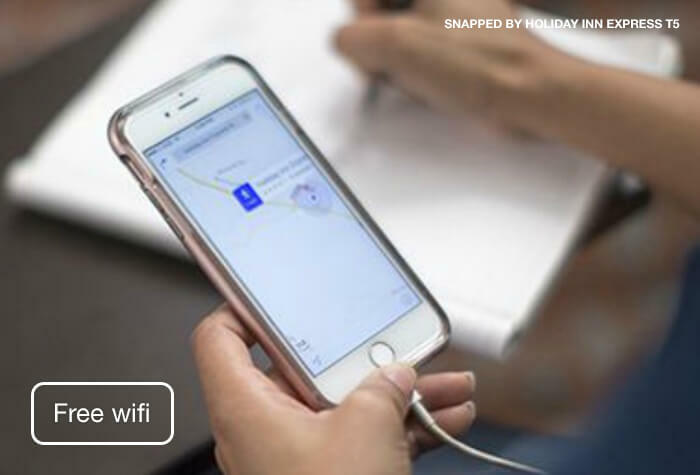 Guests have said its fairly slow, so wed recommend using 4G on your mobile if you need to. With bold tones and funky seating, Tratts Pizza and Pasta restaurant serves seasonal Italian dishes along with breads, sides and desserts. Its about £10 for a stonebaked pizza and around £11 for a pasta dish. Theres a kids menu too, which offers pizza, spaghetti, fish fingers and nuggets. 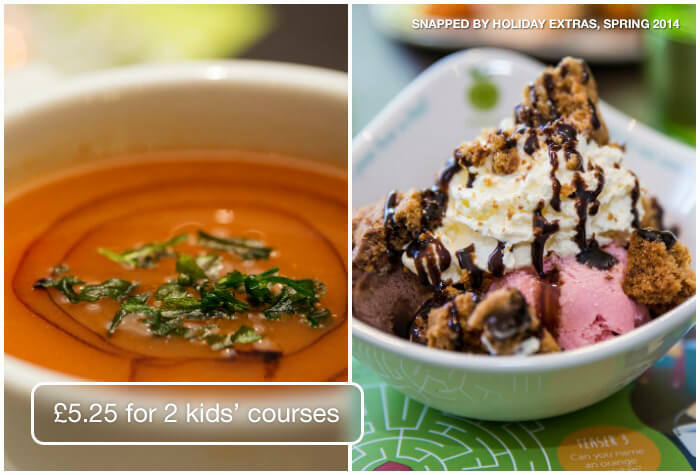 Its £5.25 for 2 courses or £6.25 for 3. For something lighter, the Great Room lobby bar serves sandwiches, salads, pizzas and sides. Dishes cost about £10 each. 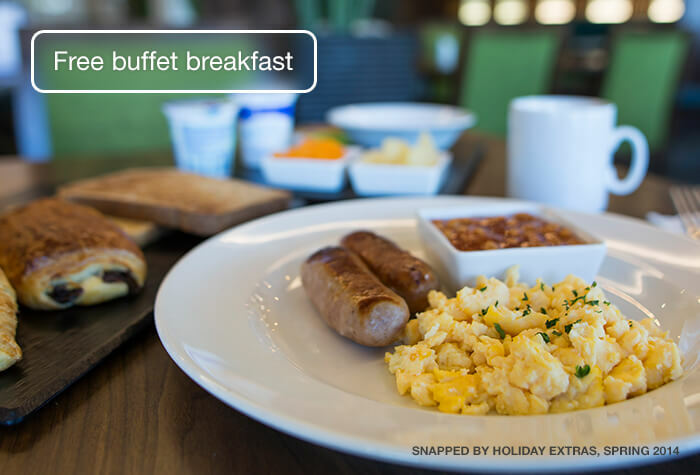 Its a free buffet spread including full English and continental breakfast. Monday - Friday: 6.30am - 10am. Saturday and Sunday: 7am - 10:30am. 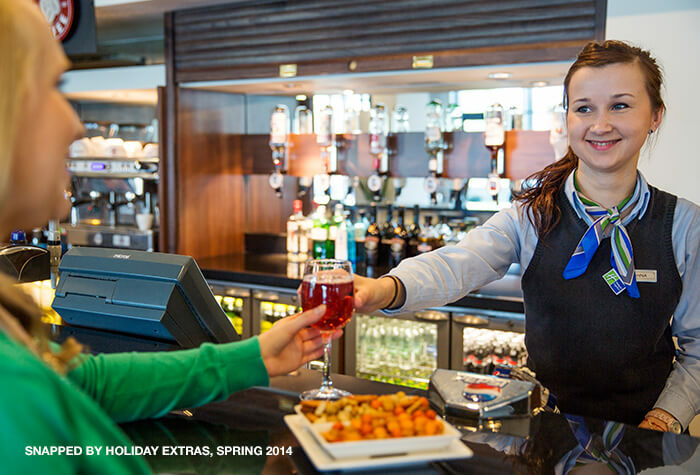 The open-plan lobby bar and lounge serves soft drinks, beer, wine and spirits as well as teas and Costa coffee. Free kids play area with games consoles and board games. Disabled facilities The hotel has rooms that have been adapted for disabled guests. 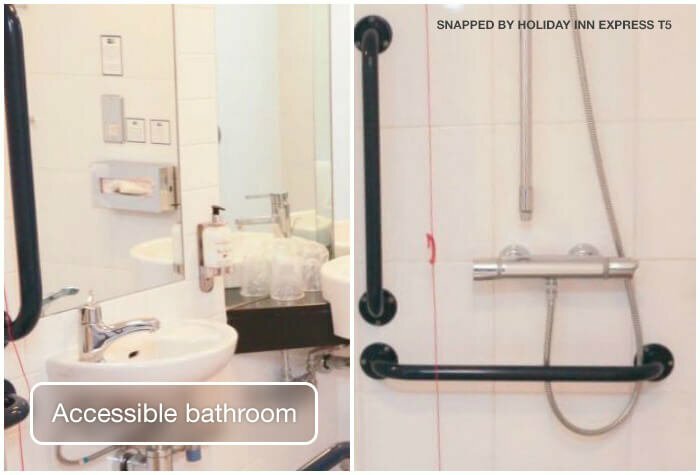 These are adapted with wider doors, grab bars, emergency pull cords and visual alerts - please call Holiday Extras to request one. Special pillows that vibrate when the fire alarm sounds are available for guests who are hard of hearing. The hotel accepts guide dogs and has accessible lifts and parking bays.